Just a 5-minute drive from the beach and Vilamoura’s centre, the Prado Villas is set in landscaped gardens and offers an outdoor pool and a terrace. Free Wi-Fi is available at the reception. 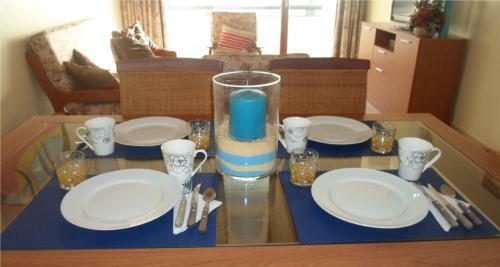 Set 1.3 km from Vilamoura Marina in Vilamoura, this apartment features an outdoor pool. The apartment is 2.1 km from Falesia Beach. Free WiFi is offered . There is a dining area and a kitchen. A TV is provided.